Square sterling silver cufflinks. Solid sterling frame makes a border at the edge of the cufflinks. Oxidized silver at center. 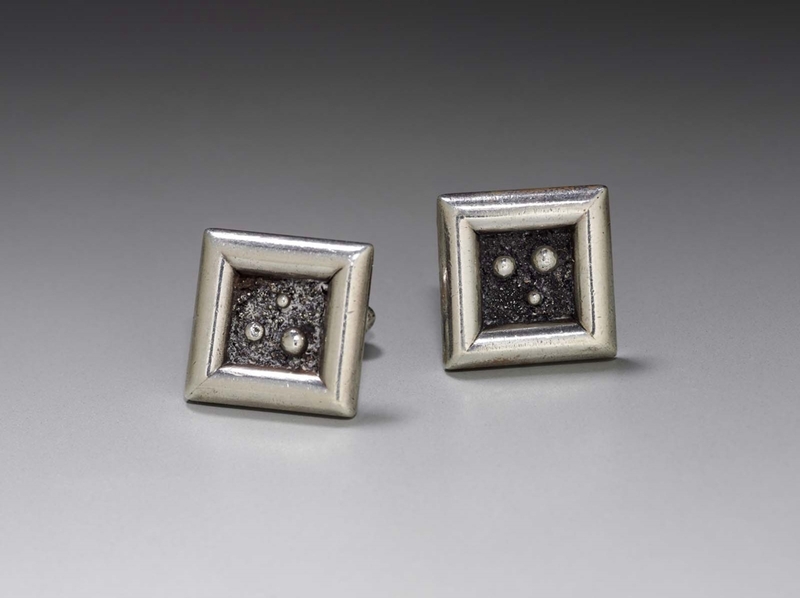 Three small spheres in different sizes sit on top of the oxidized silver background.